Some of the best ideas are cheap but will save you loads in the long run. Here are a few you can bank on. A crisp, neat, straight paint line is a delight to the eye and is easy to achieve with careful application of masking tape. Your efforts unfortunately can be marred by paint creeping under the edge of the tape, ruining the effect. This is often caused by minute pieces of dirt sticking to the edge of the tape as it is laid down. 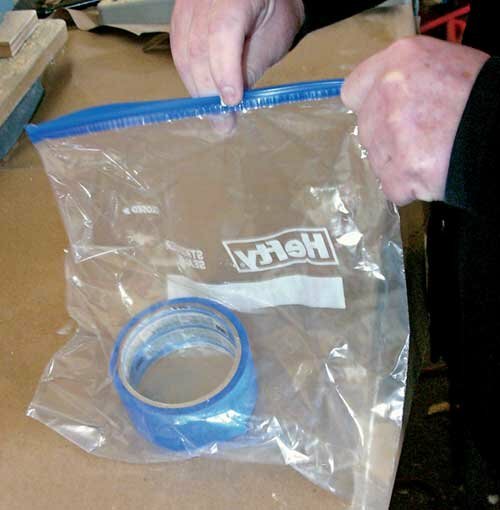 Avoid this by storing tape in a resealable zipper storage bag when not in use. The bag will keep dirt off the tape and prevent half-used rolls from drying out between uses. Nothing is more maddening than a roll of masking tape that won't unroll, but only comes off in little bits. 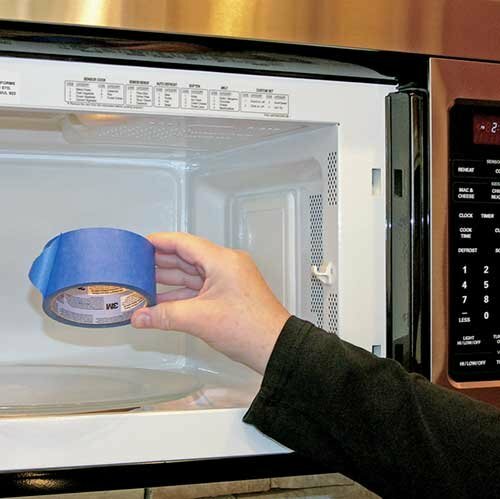 Before tossing it in the trash, an ornery roll of tape can often be brought back to life with a quick blitz in the microwave. Don't overcook it: 5 to 10 seconds is often more than enough to revitalize the adhesive and return the roll to taping nirvana. Boat owners use lots of expensive caulks and compounds in cartridges. Half-used tubes that sit for more than a day or two often dry up, then get thrown in the trash. To avoid wastage, cover the end of the cut nozzle with a good dollop of petroleum jelly. It will keep the air out and prevent the contents of the tube from hardening. 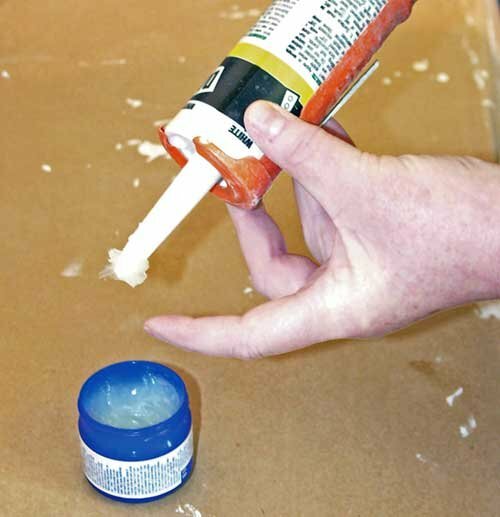 Next time you need the caulk, thoroughly wipe off the jelly and squeeze out a little bit of caulk to be sure the inside of the nozzle is clear of jelly. Many jobs on the boat can leave your hands filthy. 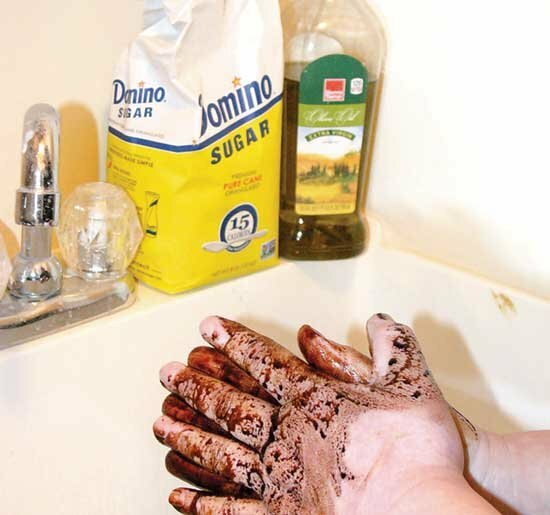 For a fast-and-effective hand cleaner that's good at removing grease and grime, pour a little olive oil on your hands along with a sprinkling of sugar. Wipe with a paper towel, then wash your hands with soap and water. Unwanted paint splashes on fiberglass or metal surfaces and adhesive residue can be easily removed with Easy-Off oven cleaner. (Avoid using on unpainted surfaces.) For best results, spray it on, allow it to sit for a few minutes, then wipe off with a Mr. Clean Magic Eraser. 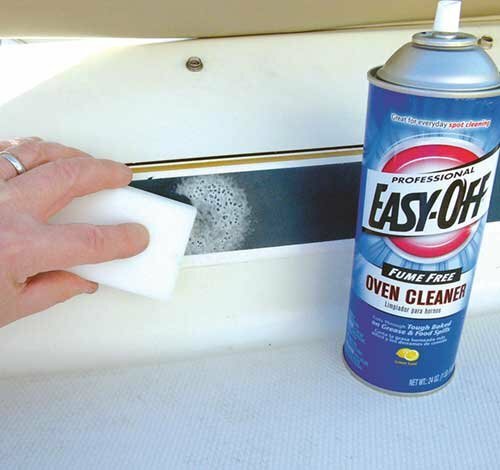 It removes the wax from the boat, too, so be sure to reapply or you'll be left with a dull spot. Test with a small amount in an inconspicuous spot to be sure it won't damage the surface. Disposable gloves are great at keeping hands clean, but getting them on can be a pain if your mitts are sweaty. 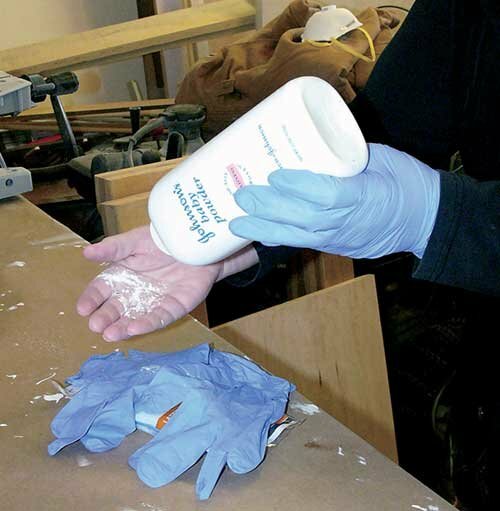 Lightly dusting your hands with talc will make latex and nitrile gloves slip on easily. To keep your hands clean when removing dirty gloves, gently grasp the cuff of one glove, pull it off until it's inside out, then use the clean inside part to grasp the other cuff, pull it off, and then toss them both in the trash. Voilà, clean hands! The month and year of engine manufacture can usually be found on a sticker near the engine's serial number. The Coast Guard has no model-year regulations for outboard engines, making it harder for consumers to determine the year in which they were built. In 2007, Yamaha stopped designating model years for its outboard engines entirely. Though the reasoning is sound, it creates a challenge for consumers. Unlike cars, in which engines are built into the product, a selection of engines usually can be fitted on outboard boats. Dealers have struggled for years to make sure that the engines bought from an engine manufacturer during one year get sold that same year on new boats. If a boat on the showroom floor comes with a 200-hp engine but a buyer wants a 250-hp engine, the dealer may have to order the bigger engine and keep the smaller one in stock. If it takes a couple of years to finally sell that 200-hp engine, a buyer may be reluctant to buy it if the model year isn't current, and the dealer may have to subsequently discount it. Buyers typically want a 2018 engine, for example, on their 2018 boat. Eliminating the model year solves the problem for the manufacturer and dealer but can be confusing for buyers. 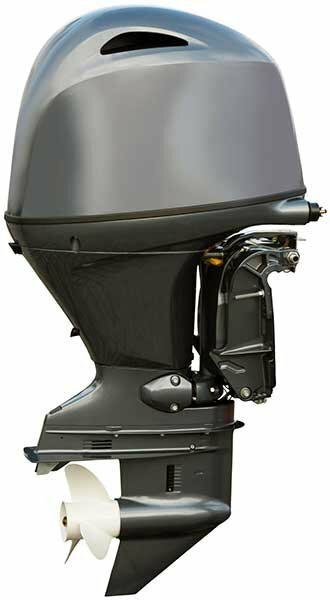 Other outboard manufacturers, including Mercury and Honda, adopted Yamaha's practice, and most outboard engines today don't have model-year designations. Outboard manufacturers say that until they make a significant change to an engine, the year it was built is irrelevant. While that's true, buyers are concerned that if there's no model-year designation, they don't know if they're getting the newest technology. Fortunately, there's still a way to determine when an outboard was built. After discontinuing model years, engine manufacturers replaced the model-year designator on the engine's serial number with a code that signifies an "era" in which all engines are supposed to be the same, with similar upgrades. Consumers, however, are concerned that with computer controls, mechanically identical engines could have electronic updates applied to a batch of similar models, and earlier ones might not benefit. What's considered an upgrade? In the end, the engine manufacturer gets to decide what it is and when there's enough of one to create a new model. Fortunately, dealers usually know which engines in their stock have the most current changes, and you should ask before buying. The company says that its tape creates a permanent airtight, watertight seal in seconds; never gets gummy like electrical or duct tape; has a very long shelf life; is very versatile; resists fuels, oils, acids, solvents, saltwater, road salt, and UV; is self-fusing; has 950-psi tensile strength; insulates 8,000 volts per layer; withstands 500 F of heat; and remains flexible to minus 85 F (minus 60 C). You can put it on over wet or oily surfaces. I'm told that this type of tape has been found to be tried-and-true by many, including the military. I know, I know — this all sounds too good to be true, right? Well, for me, it's lived up to its reputation. I've used it for many applications, including a busted water-hose section that supplies dockside water to our boat when we're in a marina. The hose split in a marina with around 70 to 80 pounds of pressure (way too much). I patched it more than two years ago. Since then, the hose has remained outside, suffered much abuse (as when I trip and fall into it), had almost daily exposure to UV, suffered 60-plus pounds of pressure for long periods of time — and it has not failed yet. I've also used the tape in applications involving hot water to repair pipes, to whip line ends, and to mark lines, to name a few. You can put it on over a wet pipe or hose. It doesn't require dryness or sticking like other tape, just the pressure of a tight wrap during application. This type of tape takes some skill to apply correctly. Read the instructions and practice before you have to use it in an emergency. You have to stretch it tightly over itself as you wrap it, so that it melds into itself. There's no sticky surface, but it'll start to fuse to itself almost at the touch. There's a layer of clear backing on one side to keep it from melding before you want it to, and you have to become accustomed to working with that. The backing is discarded as you wrap the tape. Once you get used to the process, it's easy to use. Because you're stretching it tightly, a little goes much further than you'd initially expect. And the more layers you use, the more stress it'll take and the more durable the repair. What Factors Affect Your Boat Insurance Cost? A number of factors, some in your control and some not, can have an impact on your boat insurance rates rates. Where you sail for example: if you sail on a lake that has a high rate of claims, the cost of your coverage will be higher than in a lake where there are far fewer claims. If you are sailing the intra coastal, its different than sailing the open seas. Your use of the boat: If you only take your boat on occasional fishing trips, your rates will typically be lower than if you tow water skiers, wake boarders or parasails. Your motor vehicle driving record: Good automobile drivers tend to be good boat drivers. Your record of boat insurance claims: You may have to pay more if you’ve filed many claims in the past. The boating experience of others who will be driving the boat: Adding your teenage son as a driver on your policy, for example, may increase your rates. Safety measures: Have you had a certified safety course? Do you have Coast Guard approved fire extinguishers and radios to communicate with the mainland? Horsepower of the boat: Often, boats with a higher horsepower engine will have higher insurance premiums assigned to them. Your gender and age: Studies have found that women over the age of 27 tend to be quoted for better rates than men of the same age, even with equal driving records. Spec’s of your boat: Year, make and model of the boat and motor, and whether you have an inboard or outboard motor come in to play when determining rates. Region of the country: This is to determine if you will be using the boat in areas where there are natural hazards like hurricanes. Your credit score: Believe it or not, insurance companies have found that a person with a lower credit score is statistically more prone to boating accidents. 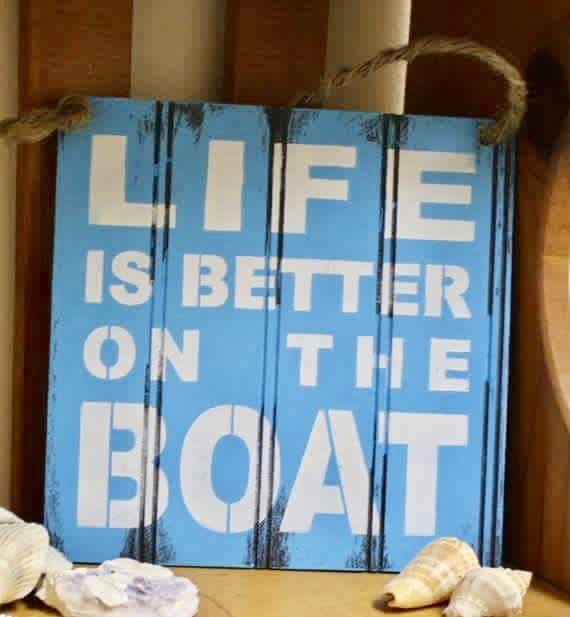 If your credit score is low, you may be charged more for your boat insurance than someone with a higher credit rating. As you work on your supplies for the next boating season, pay some attention to the oft ignored, but always needed Extension Cord. Don't use a cord outside if it's marked "For indoor use only." Inspect your extension cords regularly, and don't use one if it's damaged. Don't overload a cord. Determine the total number of watts the cord will be subject to (watts can be found listed on the equipment being used). A cord will specify its maximum watt load on a label. If you exceed that, the cord can melt or catch fire. Turn off the load before plugging in or unplugging the cord; otherwise, the prongs can be damaged over time and overheat. Don't remove the grounding prong. If the outlet can't accept three prongs, it's not grounded and could be dangerous to use, especially outside or near water. Avoid multiple extension cords. Never plug a two-prong cord into a three-prong cord; it will defeat the ground. Don't get the cord wet or allow it to dangle in water. If you're working around water, use a cord with a built-in ground fault circuit interrupter, or GFCI. If the extension cord gets hot, stop using it immediately. It's either overloaded or damaged. Don't coil or cover a cord while in use. It can overheat under heavy loads. Here's an article on the best tools to keep with you. You may have lots of tools in your bag, but are they all necessary? Here's my selection of those I just can't leave the dock without. It seems that you can never have too many tools. I have hundreds that I've collected over the years, but there are some seemingly simple tools that have gotten me out of a jam more times than I care to remember. If I had to whittle the list down to just 10 that I couldn't do without, these would be on it. The majority of these tools can be bought from online retailers for just a few dollars. Buy good quality tools because they last longer and will be cheaper in the long run. Magnetizer/Demagnetizer: This enables you to quickly magnetize your screwdriver so that it'll hold ferrous screws. It also enables you to demagnetize it. Locking Forceps: The perfect tool for reaching into tight places to retrieve or insert small nuts, bolts, circlips, and O-rings. Also good for clamping small hoses. Block Of Wood: Use as backup for hammering, screwing, drilling, cutting and gluing, and as a cushion for tapping jobs. Old Inner Tube: Cut one to make temporary gaskets and insulation. Also useful to give hands extra grip for torque. You can probably get one of these for free from a tire shop. Good Mechanics Gloves: Protect your hands, but also increase grip when you need to undo things like spin-on filters. Try them for size before you buy, as they should fit, well, like a glove. Plastic-coated Wire Coat Hanger: Bends to innumerable shapes and are perfect for clearing drains and hooking dropped objects. You can most likely find one for free, on the floor of your closet, behind all the clothes. Oscillating Tool: Mine is a Rockwell, but there are other makes. Will cut directly into surfaces, including fiberglass. With the right adaptor can also be used as a detail sander, reefing tool for teak decks, or power scraper. Quality LED Headlamp: I like the swiveling type so that you can adjust it to suit your work. Far safer, and way more comfortable, than holding a flashlight in your teeth. Mechanic's Stethoscope: Invaluable for diagnosis, use one to familiarize yourself with component sounds now, so that you'll recognize abnormalities later. Stainless Wire Brushes: For cleaning threads and terminals, removing rust, surface prep, and much more. IF I GO, AM I COVERED?